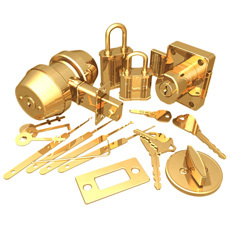 Attack Locksmiths – We can offer you the best service when it comes to locks. We can improve your security in both your home or business. With our range of techniques and know how we can upgrade the lock systems you are currently using to secure your property or premises. Our locksmith team are experts in their field and are more than happy to answer any questions or queries that you may have. Please give us a call on any of the contact numbers shown above or use our contact form. We have years of experience in the locksmith industry and specialise in attending emergency lockout calls, where being unable to access your property can cause inconvenience and problems for yourself or your business. We can quickly gain access to your property and arrange for new keys to be cut. All of the work carried out by us is guaranteed and all locks are supplied or fitted to the regulatory standards. Attack Environmental are members of the UK Locksmith Association. Our team is available on a 24 hour emergency call out basis, so if you do have any urgent problems that need attending to, be sure to give us a call. A member of our team will be more than happy to sort out any emergency lock out or other problem you may have.